Sign up to receive our weekly newsletter to ensure you stay informed on the constant industry transitions. We know that this wonderful world of Fruits and Vegetables is constantly changing due to mother nature and other causes. We take all the necessary measures to keep you informed at every step of the way. 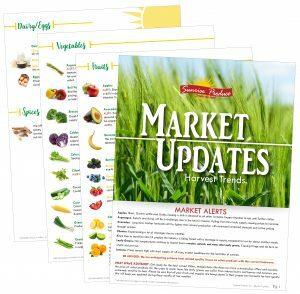 From Market Alerts to Best Buys, Sunrise Produce Company gives you the information you need to make the best buy for your kitchen. More than a Produce Company, your Produce Specialist.